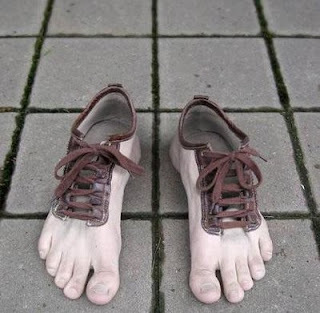 John Byron: "Blessed are the feet that bring good shoes." The honor and glory and fame of the blogosphere. OH, JB - did you come up with that on your own? You did, didn't you? The pic is wonderful but could not get the meaning behind it, was there anything spiritual to it or was it just artistic expression.